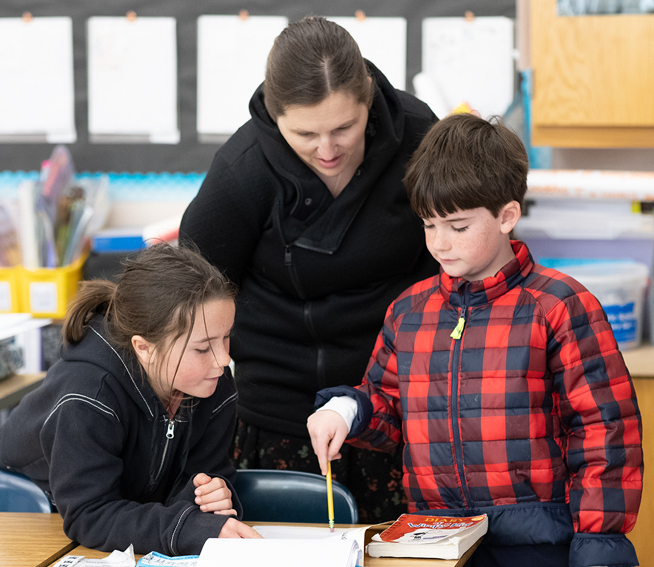 WestEd’s NGSS Early Implementers is a six-year initiative created to help eight California school districts and two charter management organizations implement the Next Generation Science Standards (NGSS). The Initiative has worked to prepare participating teachers for leading the implementation of science teaching aligned with the NGSS and to empower teachers to become catalysts for change in their districts. Acknowledge that the NGSS are a big change for teachers. First and foremost, understand what it takes to get teachers up to speed to teach the NGSS. These standards represent a substantial and fundamental departure from previous pedagogy. Plan for a multi-year ramp-up. Regardless of the level of effort, a multi-year transition is required. One year, even with intensive training, is not enough. Create a cohort of teacher leaders. Invest in intensive training for a subset of teacher trainers/leaders throughout the district and at all grade levels. Teachers have credibility and understand the needs of their peers. Further, having a cohort of teacher leaders throughout the district builds in long-term support for change. Focus on peer leadership abilities. Don’t assume that your strongest teachers will be effective professional learning providers. Teaching adults is different from teaching children. Teacher leader preparation should include guidance about leadership, rather than only focusing on the NGSS. Make teacher group work a priority. Not only do teachers need more than a few professional learning sessions, they need time to collaborate with each other on an ongoing basis to figure out the NGSS, plan lessons, and compare outcomes. Release time for such group work can only be gained with administrator support. Help teacher leaders grow. Once teacher leaders have acquired experience and expertise, capitalize on and further develop their leadership capacity by giving them responsibilities and opportunities to share their learning with others (e.g., invite them to present to site staff). Seriously consider how they need to be supported in their early attempts at leading their peers. This post was adapted and excerpted from Investing in Science Teacher Leadership: Strategies and Impacts in the NGSS Early Implementers Initiative, written by Burr Tyler, Ted Britton, Katy Nilsen, Ashley Iveland, and Kimberly Nguyen. Copyright © 2019 by WestEd. All rights reserved. Learn more about the work of NGSS Early Implementers.